Hi guys, Gotthammer here again with Part 2 to making quick and dirty (and cheap!) 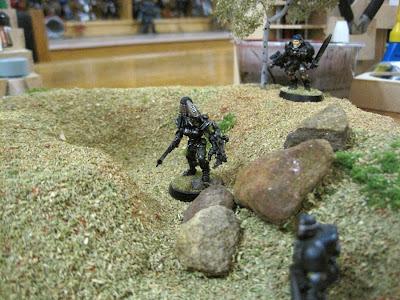 terrain pieces with as little effort as possible. What follows this week is how we turn or styrofoam block from last week into something a little more suitable for our gaming table. If you missed Part 1, it can be found right here. 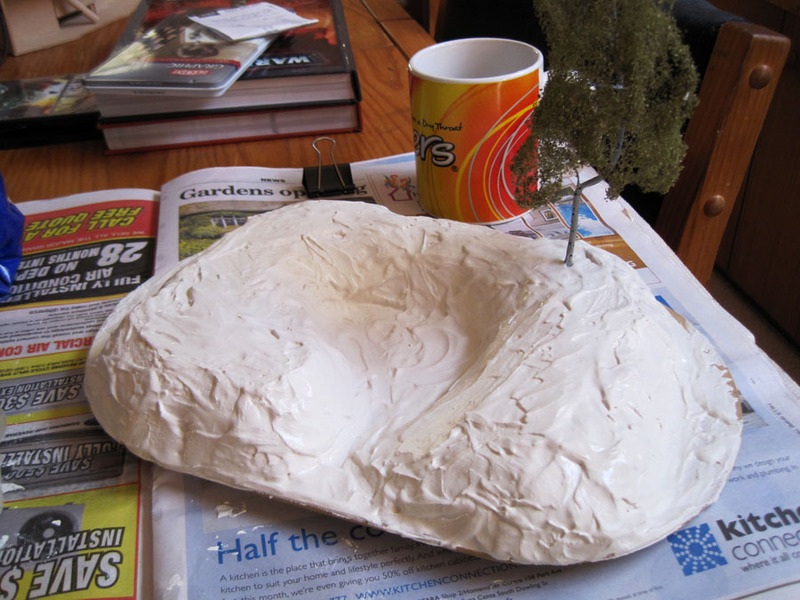 Part 2 – Making it look less like a block of Styrofoam. First thing is to mix up the Spakfilla. I use 80c for a hundred plastic spoons and a washed out Chinese takeout container. Simply pour the filler into the container (not too much, you can always make more, but making too much is a waste) and add water. Different fillers will have different ratios so consult the packet. 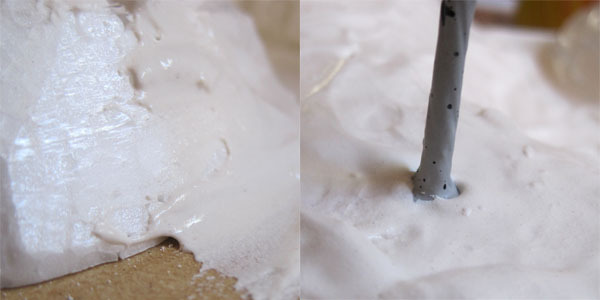 It shouldn’t be too runny, or it won’t cover the sloping surfaces and corners well. However too thick will be a pain to put on and will gunk up. A little experimenting and you'll get a formula that works for you. Yes, a rather lurid shade of brown, but it’s cheap. 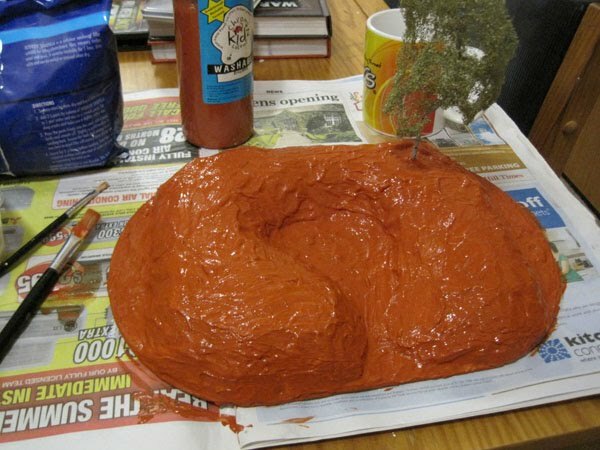 If you wanted to use spray paint it should be ok due to the filler covering the foam, so it shouldn’t melt – but I promise nothing! We’re probably up to around 2hrs total time here, with drying times, about 45mins without. Once dry the next step is to add the flock and other scenic pieces. 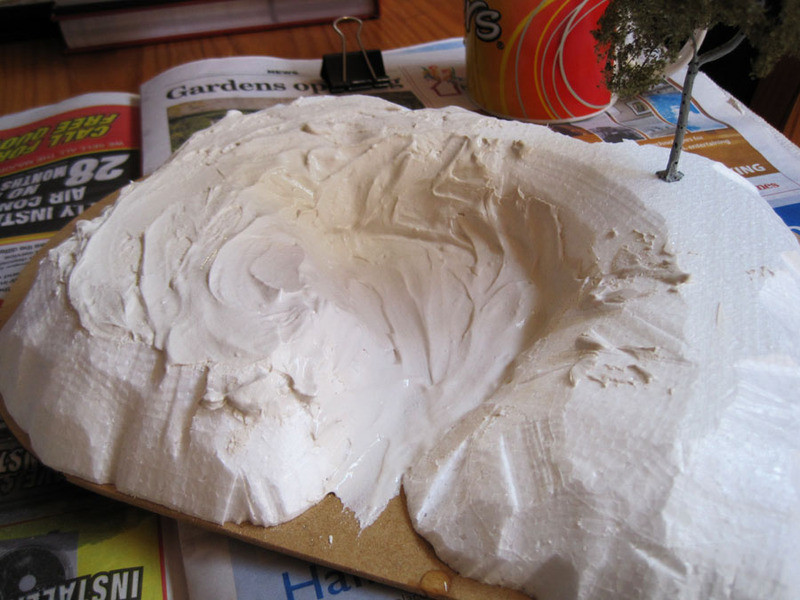 This is where you make what is essentially a plaster cover lump of foam into a convincing terrain piece, so this requires the most care, thought and imagination. I decide to put some rocks by the ‘entrance’ area for a bit of visual interest, and use green and brown flock for the main coverage. 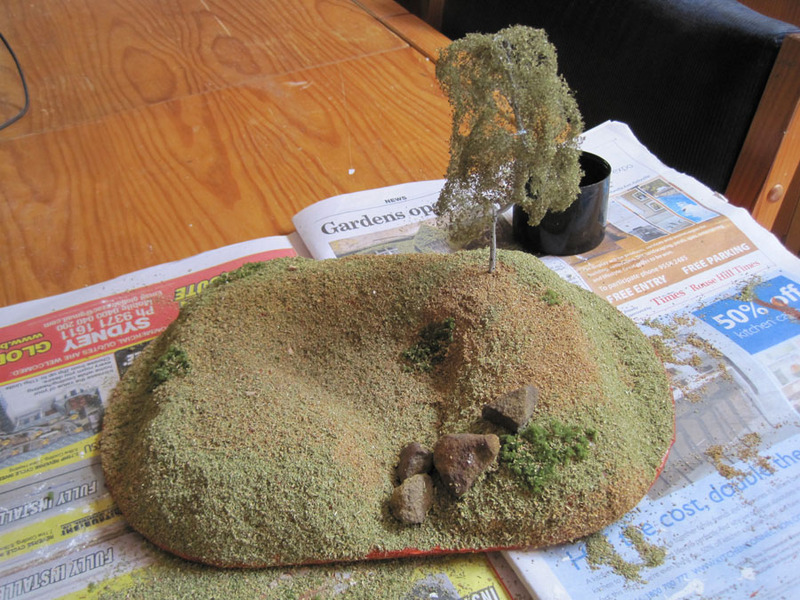 I intersperse some thicker green sponge material to break up the shape and give some definition to the shape of the hill. When applying the glue to a large piece like this I make sure to water it down so it doesn’t set too quickly. The whole piece needs to be covered in glue before the flock is applied, or you will have to wait for the glue to completely set before continuing. Some people use a matt varnish to protect against wear and tear, but I don’t because I’ve never had much luck with varnishes, so can’t comment on that. So there you have it! All in all about three hours of work, but the majority of that is drying time so if you make a batch at once you can get a whole lot done in one day. I've found that hairspray works beautifully for keeping flock nailed down to the surface of a hill - the cheap stuff is best. Annnnd I'm sorry about the double post. The middle photo makes this thing look like some kind of demented meat loaf! Anon: You're welcome, glad it helps.